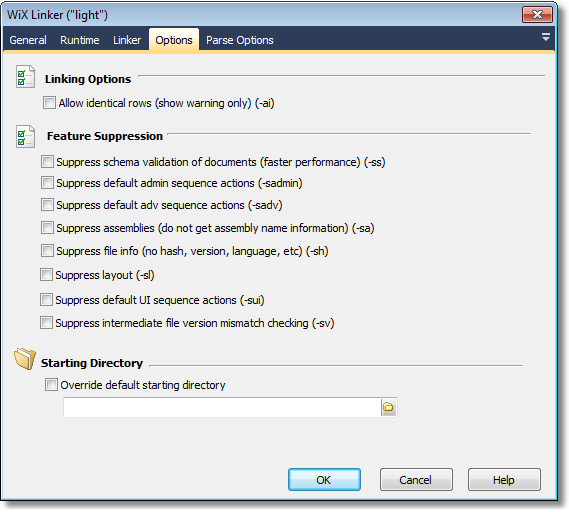 This action provides an interface to the WiX linker (light.exe) The linker links .wixobj object files into a .msi Windows Installer Package. 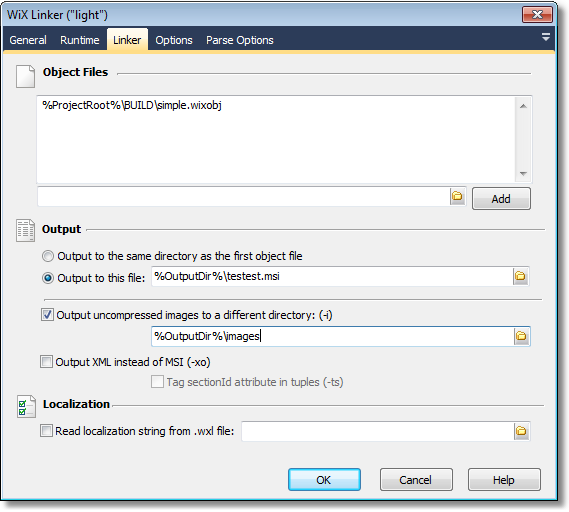 Specify one or more .wixobj object files that you wish to link. A .wxl file can be used to create a localized installer package. Normally the WiX Linker will fail if it detects identical rows. With this option checked it will only emit a warning. Various aspects of the WiX Link process can be bypassed. It is not recommended that you use these options unless you are sure you do not need the features specified. 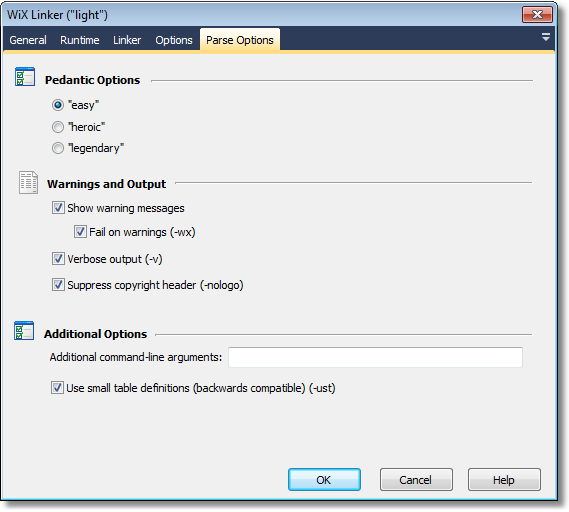 For information on these options, see the WiX Compiler help topic.